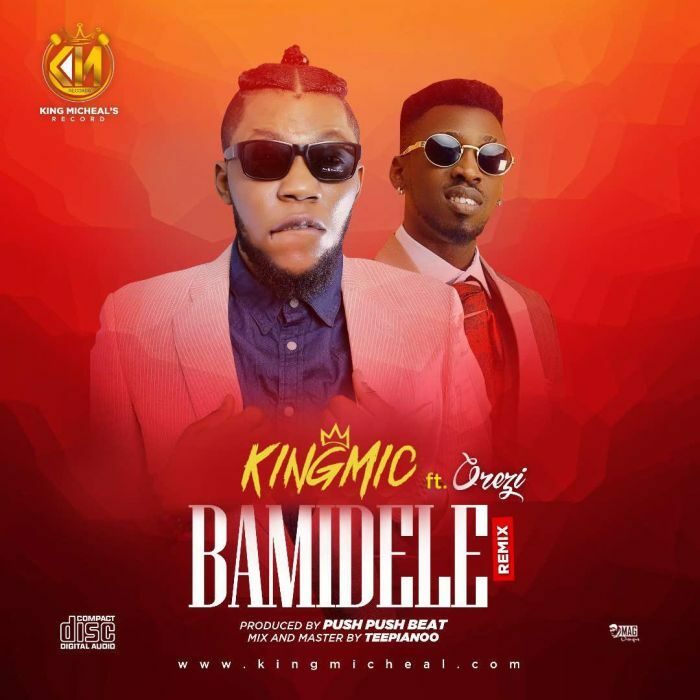 “KingMIC” Finally Team up with MrRaggamuffin Orezi on his much received single “Bamidele (Am In Love)”. For the Remix…Song Produced by PushPushBeat still, M&Mby:- Teepiano and Visual Directed by Paul Gambit. This much Anticipated hits single finally released. KingMIC Collaborate with Orezi (MrRaggamuffin) the winner of AFRIMA Award Video of the Year, to bring his fans a melodies vibes and award winning Video. “KingMIC” is currently been manage by his owned Record Label King Micheal’s Record. And looking forward to work with a Big Hand/Investor/Sponsor/Partnership. HappyBirthday “KingMIC” Wishing you Success. The post [Video] Kingmic Ft. Orezi – Bamidele (Remix) appeared first on Naijaloaded | Nigeria's Most Visited Music & Entertainment Website.